It happens once in a while when you try something out and you know that you will make it again and again. This weekend I wanted to make a cobbler and looked up several recipes with a plan to bake it in a tart shell as it is a far better way to plate. 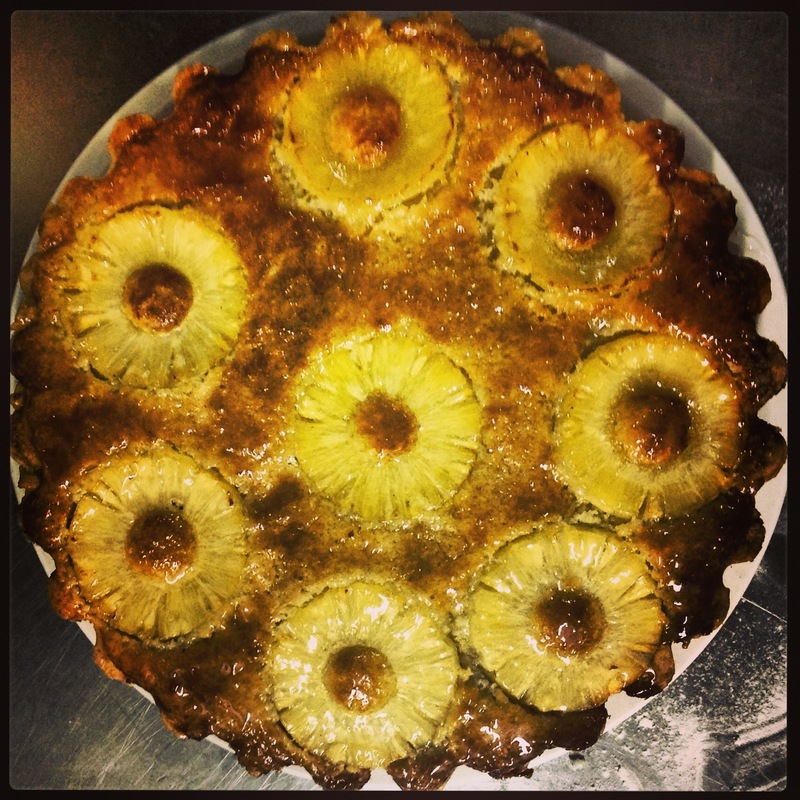 Everything looks neat and tidy in a tart! As I was rolling out the pastry, I decided to switch from peaches to pineapple and then thought that pineapple with coconut would work well. What a fantastic bake this has turned out to be. I loved the appearance and it is just unbelievably delicious. We had it with frozen plain yoghurt. Add vanilla extract, citrus peel and mix in well. Dissolve the sugar into the cold water. Add a few drops of lime juice. Make well in the middle of the dry ingredients and bring together. Place in cling film in fridge for at least half an hour. Cream the sugar and butter until fluffy. Add the eggs and vanilla and mix with metal spoon. Then add the flour and coconut and mix with metal spoon until it reaches a dropping consistency. If the mixture is too dry add some milk. I say this as it all depends on the weather and humidity levels where you live and you need to adjust the recipe accordingly to get the right consistency. On the island where I live, the humidity levels are very high at the moment. Spread a layer of batter on the bottom of the crust. Arrange a layer of sliced pineapple on top. Spread the rest of the batter and tidy it with a palette knife. 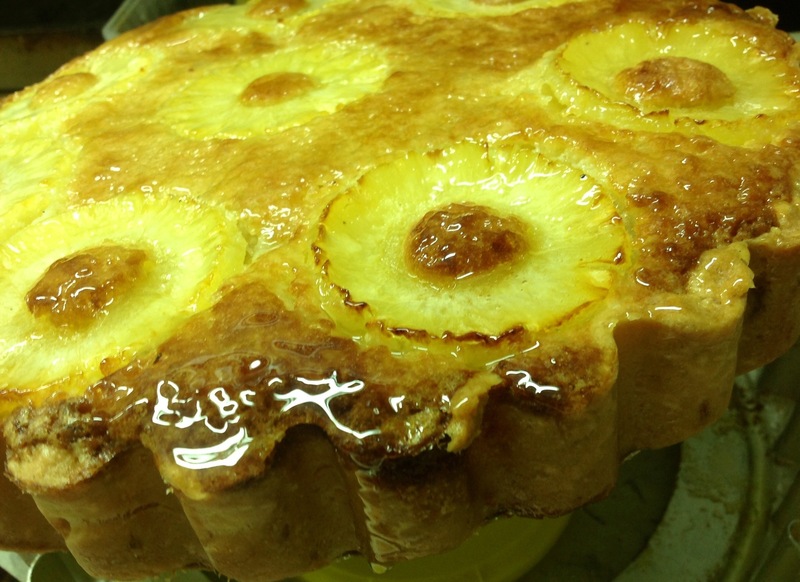 Decorate with a layer of sliced pineapple. Glaze the tart with heated up apricot jam. Bake for 40 to 45 minutes until skewer comes out clean after testing. This looks and sound delicious! I would like the coconut and pineapple together so much. Thanks for this recipe, will try it in the winter months when I bake more in January and February. I am a ‘lazy’ holiday baker, smiles!